Six-deck and eight-deck (“multiple deck”) blackjack is offered at most Las Vegas casinos. The minimum bet can be as low as $5 or $10, maximum of thousands at higher-end casinos, mostly on the Strip. The rules vary from one casino to another, or even from table to table within the same casino. The best multiple deck blackjack games are the six deck games offered at many casinos where the dealer stands on soft 17. Most of these games have a low 0.26% house edge against a basic strategy player. They are usually available at $25 minimum or higher and are listed at the top of the chart below. There are numerous casinos offering multiple deck blackjack at which the dealer hits soft 17, a disadvantage for the player. They are also listed in the chart below. There are also casinos which seek to take severe advantage of the unknowing patron, by short-paying blackjacks at 6-5 instead of the normal 3-2. A game that pays 6-5 should be avoided entirely, regardless of the number of decks. The 6-5 games and other “carnival games” such as blackjack dealt from a Continuous Shuffling Machine, Blackjack Switch, Freebet, Zappit, and others should be avoided because of the large house edge, and we do not even consider them to be genuine blackjack, we do not list them in the survey below. 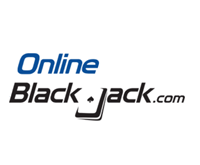 We also offer blackjack surveys for Las Vegas for Single Deck and Double Deck.